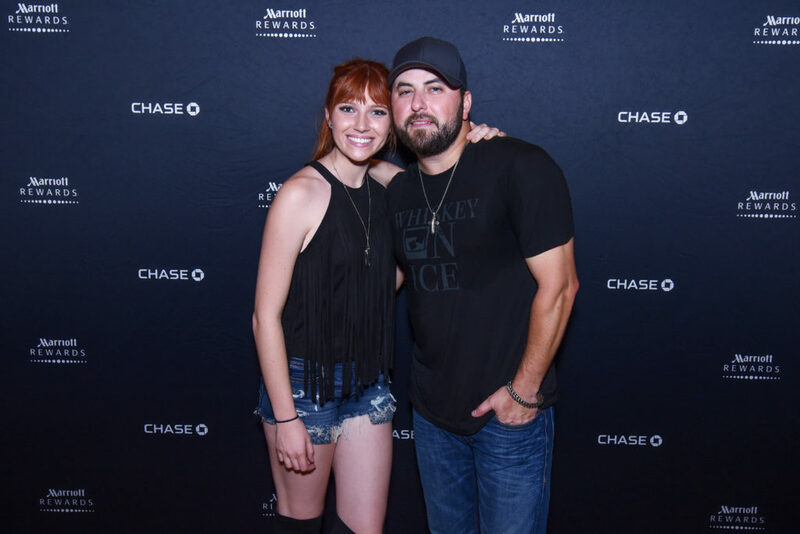 More than 3,000 bands entered for the chance to open for Tyler Farr at the exclusive Marriott Rewards Credit Card event. 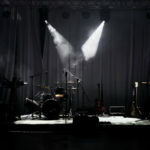 From those submissions, ReverbNation’s curation team picked the 10 most promising acts to move on to the fan voting portion, and the top three finalists competed in a Battle of the Bands where the audience picked the winner to open for Tyler Farr. You won it all! Tell us about your experience from deciding to submit for the opportunity to what it was like to open for a major country music star. To be honest, I’ve been so busy writing and recording the upcoming “The Ghost of You” album that I didn’t really think too much about it after I submitted for the contest. When I got the email letting me know that I was selected in the top 10 out of 3000 bands, I reached out to my amazing fans (Lynnear Movement) on social media, they responded way more enthusiastically than I could’ve ever expected. It was amazing to see the support I got from them which helped give me the chance to showcase all my hard work since I began this journey. Once I was notified I was in the top 3, it finally hit me that I really had a chance to win this thing. Even though there were two other super talented bands I had to compete against, I have always believed that as long as I focus on my performance and do the very best that I can, then I am good with whatever the outcome is (I’m okay with getting beat by the better competitor, I’m not okay with knowing I could’ve done better). We made the 14-hour drive down to Austin and before I knew it, the first band was already starting to play. Both acts were amazing and the audience was super pumped up by the time we went on stage. The audience was pumped up and so much fun to play for. When we had finished, I wasn’t even done packing up my guitar when I heard Lunchbox (the emcee) announce my name as the winner. I was so excited (and in shock) that I don’t even remember exactly what emotions I was feeling, and to be honest, I don’t think it really hit me until the drive home from Austin. 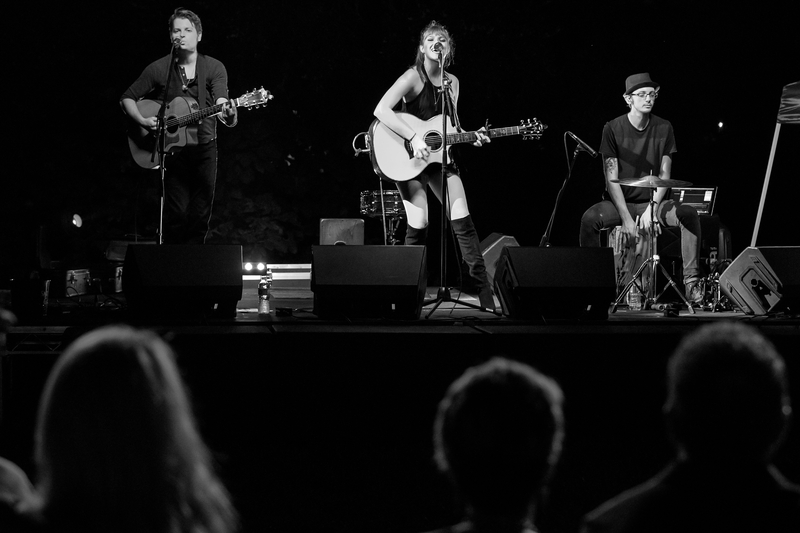 The following night, we drove about 40 minutes outside of Austin (west) to an old mansion where a huge stage was built out in the outer edge of the lawn and the entire night was like a magical dream you never want to end. After it was over I just sat in my car with my band and was like, “Wow guys… we just opened for Tyler Farr.” The whole experience was unreal. I still have to pinch myself to make sure I’m not dreaming. What was the most memorable moment from your experience? It’s hard to say what the most memorable moment is from my entire experience is because I remember it all. I definitely have to say that my favorite moment was hanging out with Tyler and his band after the concert. That was a lot of fun for me… It was mostly random stuff, we talked about music and I had a lengthy conversation with Gary (guitarist with a crazy red Mohawk) about hair products. I’m influenced by music every day in different ways. I always try and learn something new from someone I’ve never heard before. One artist that seems to really have it is Taylor Swift. I love her writing. I always strive to explain how I feel in my songs and I hope that people who have gone through the same experiences, can feel that in my music and know that they’re not alone. Taylor’s music always made me feel like I had someone even if she wasn’t physically there and I want to do that for other people through my music too. We’re inspired by the fact that you give back through your music. Tell us about your partnership with the Semper Fi Fund. I’ve been raising money for the Semper Fi Fund since 2012. I absolutely love giving back, and to be able to raise money through my music (CD sales and Pickbandz) makes it so much more special. When I decided I wanted to raise money for a cause, I wanted to donate to a non-profit organization where majority of the money actually went to the cause they claim to fight for. I have a lot of family members and friends who serve and have served… some of whom have died serving for our beautiful Country. I wanted to support our Troops in any way I could and the Semper Fi Fund really jumped out to me. What’s next for Savannah Lynne? Well I could tell you exactly what I see in my future and everything I hope to achieve, but God has a funny sense of humor and I’ve found that nothing ever goes exactly as planned. 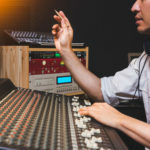 What I do know for sure is that this crazy business of music is built one block at a time and the next block I am currently finishing is my upcoming album titled “The Ghost of You.” Once this project is wrapped up, I have another album full of songs ready to start production as well. I really had a lot of fun opening for Tyler Farr and I would love to open for other top country acts in the near future as well (hint, hint)… I am grateful for the opportunity and the experience that ReverbNation, Chase Bank, and Marriott provided for this contest and look forward to an exciting finish to an exciting year!